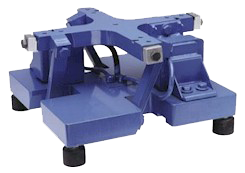 Vibratory Feeders Inc. (VFI) is the specialist when it comes to providing custom part feeding solutions. We have the knowledge and capabilities to design and manufacture custom products to enhance your manufacturing or packaging processes. 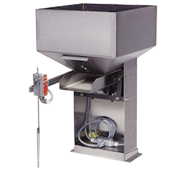 We provide our clientele with custom solutions for all part feeding products. 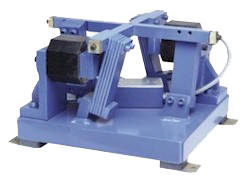 However, our capabilities in fabricating custom vibratory bowl feeders, supply hoppers, drive units, and automation machines are unrivaled. Our process begins by having a detailed discussion with the client and understanding his particular requirements. Depending on his needs, we suggest either a combination of products to create a custom system, or we design a solution unique to the client’s product, work space, and budget. Our quality control standards are the highest in the parts feeding industry. We ensure that our products not only meet your requirements but also adhere to global safety and industry standards. 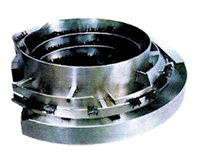 Inside and Outside Track Bowl Feeder: Our bowl feeder solutions include open twisted designs, which provide smooth orientation and reduced jamming of components. Another solution is a straight front bowl designed specifically to handle tangling of parts. We can also provide alternative bowl designs for electronic bowl feeders. Drive units: We provide assorted solutions in terms of drive units. 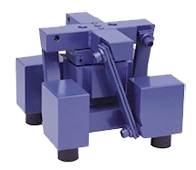 Our custom solutions for drive units include micro adjustable height, long overhangs, and accommodation of low clearance. We at Vibratory Feeders Inc. are devoted to innovating and exceeding client requirements. Whatever your feeding requirement may be, we can provide you with quality, durable, and cost-efficient solutions. contact us to know more. Drive Units for 24" to 36"